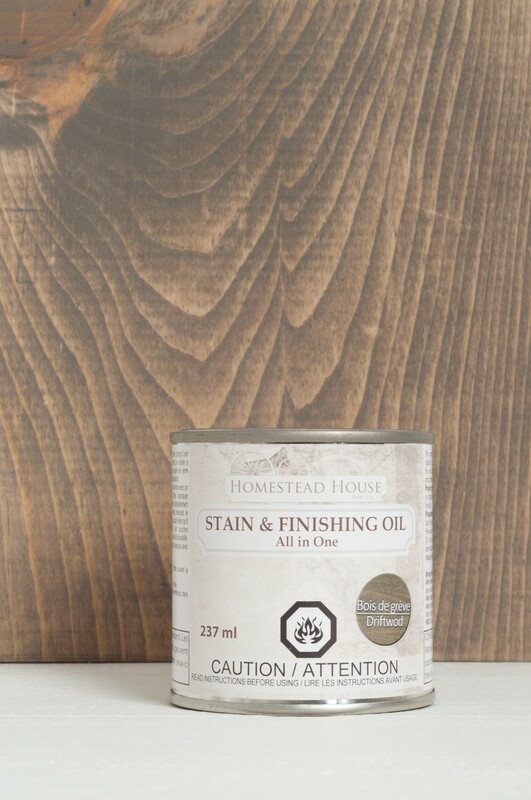 Our Stain & Finishing Oil All in One does just as it says! 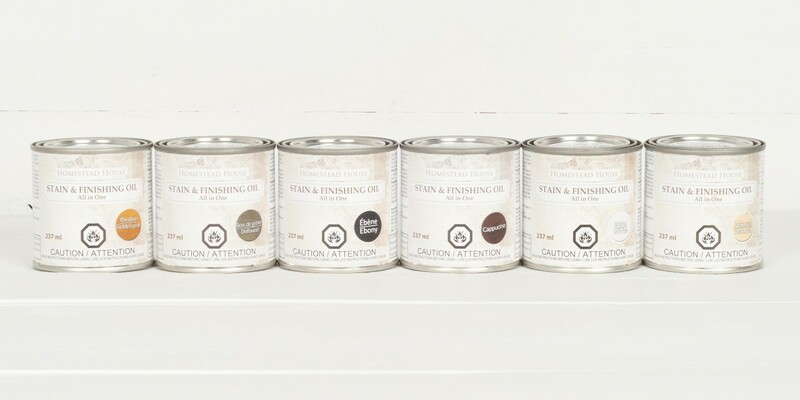 It add colour, and adds a sealing oil at the same time! This oil penetrates into the wood leaving no surface layer or film, rather it soaks into the wood. 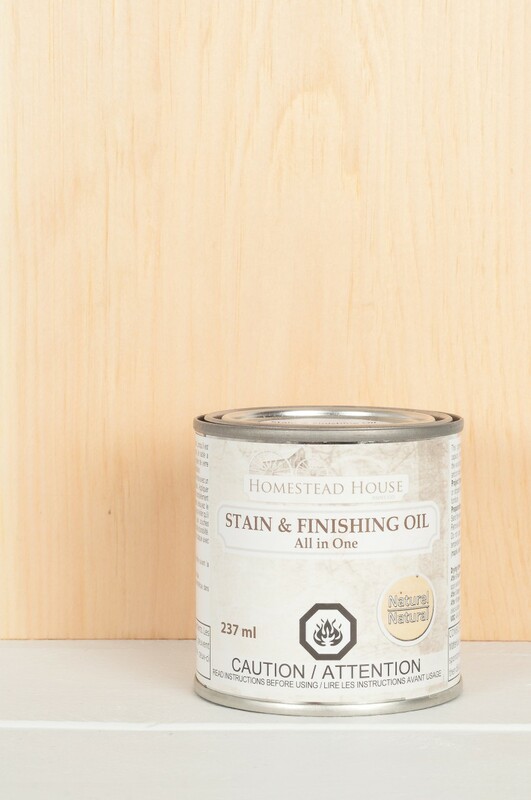 This is great if you have heavy use areas likes floors or table tops as it won’t gauge out like a urethane or varnish. 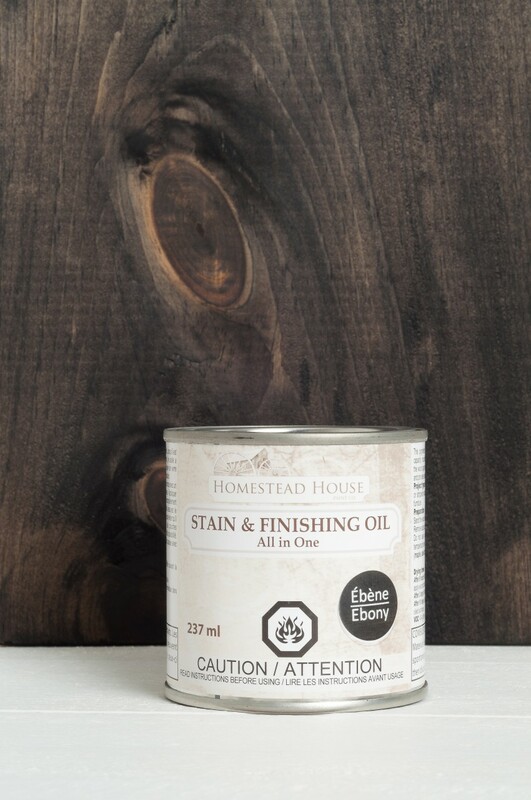 If you’ve got a piece with stunning wood grain, show it off with our Stain & Finishing Oil. There is nothing quite like using a natural oil to bring out the true beauty bare wood. 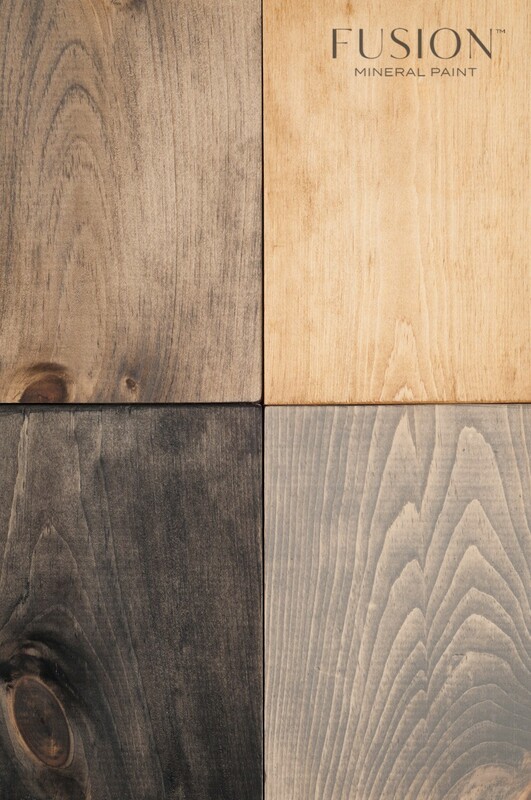 Available in 6 stunning colours, you can go from traditional with Golden Pine and Capuccino to contemporary with Driftwood, Ebony, White and Natural clear! This Oil is so easy to use! 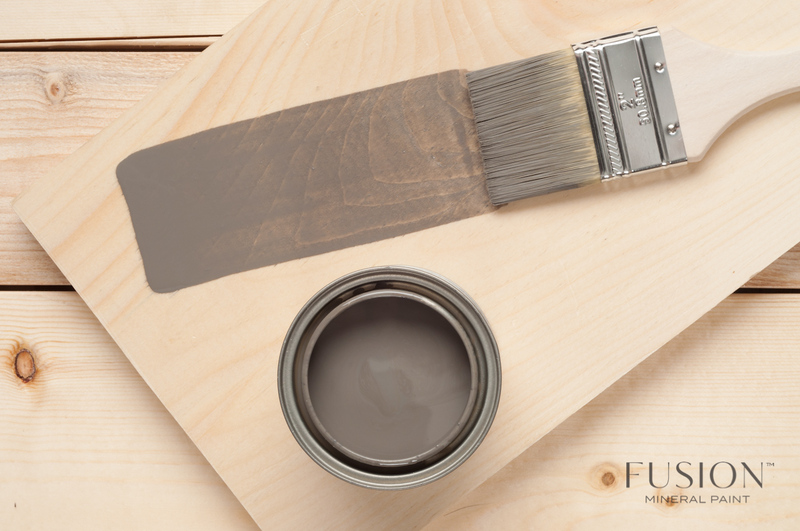 Simple prep your surface by removing any existing coating on it so that the bare wood is revealed. 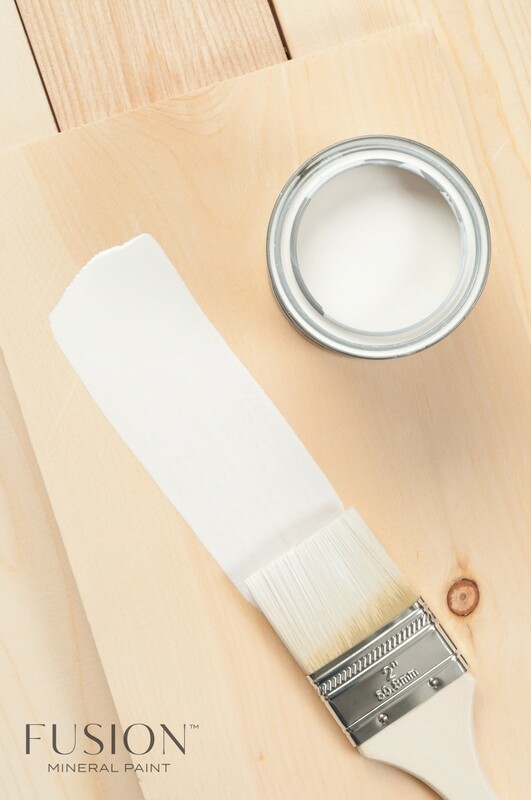 Apply as many coats as desired. 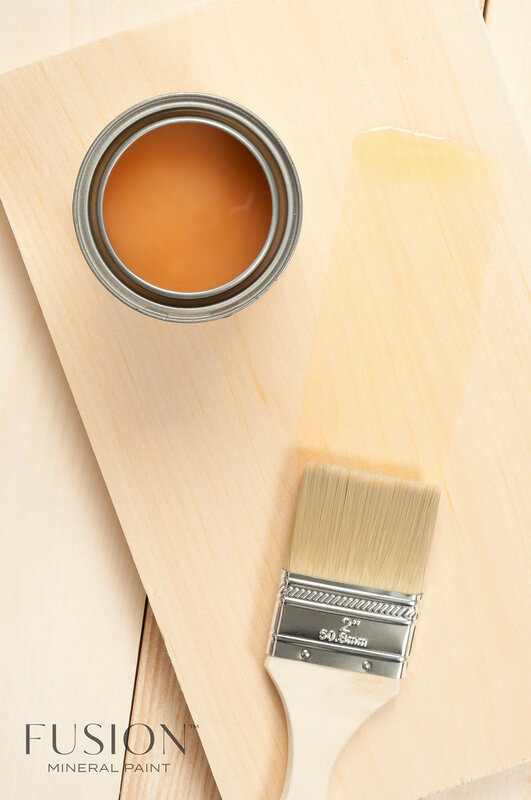 1 Coat will be transparent like a stain, 2 coats will be solid like a paint. 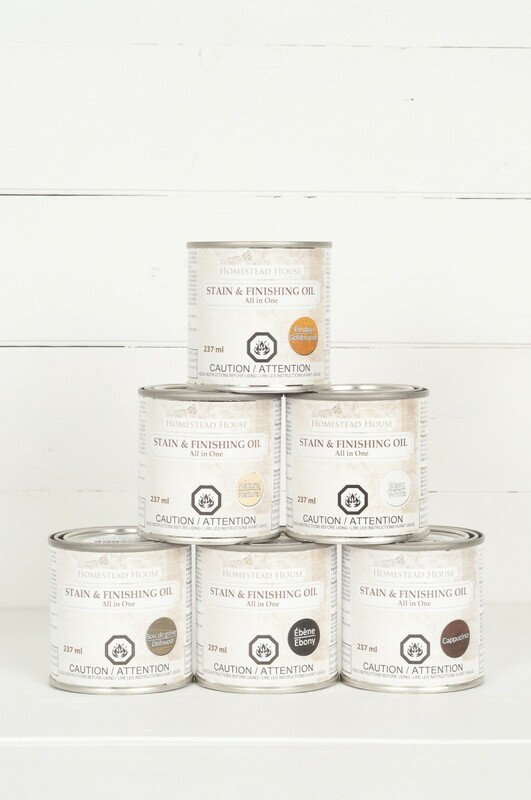 This light golden colour adds a touch of warmth, just liked aged pine. 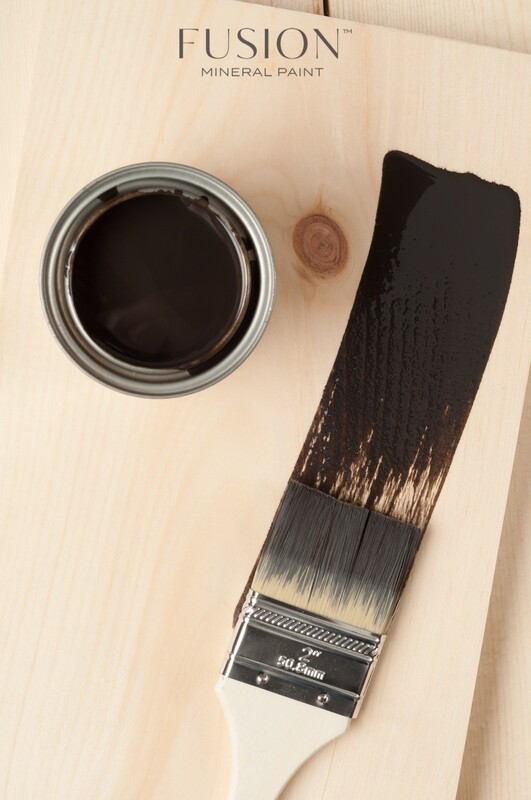 Capuccino – Rich and deep, this stunning brown brings warmth and depth for a deep brown finish. 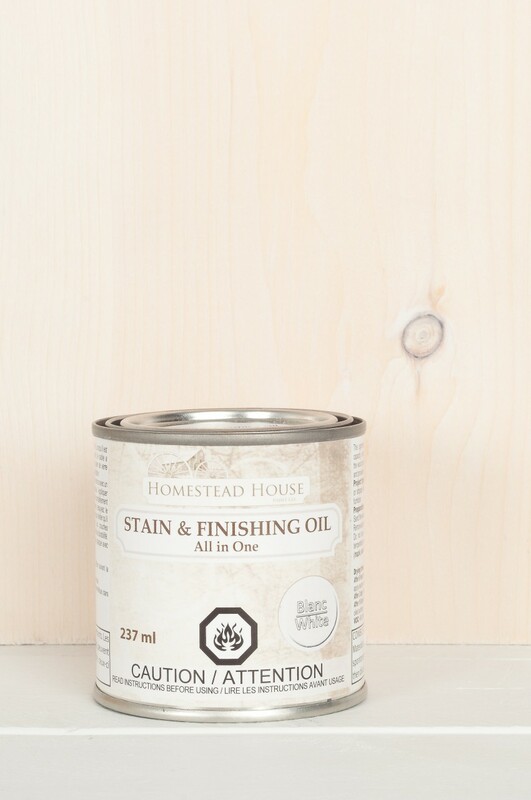 What’s so great about this stain and Oil All in One is that you can get a thin transparent stain with one coat, or with subsequent coats, a more opaque look. 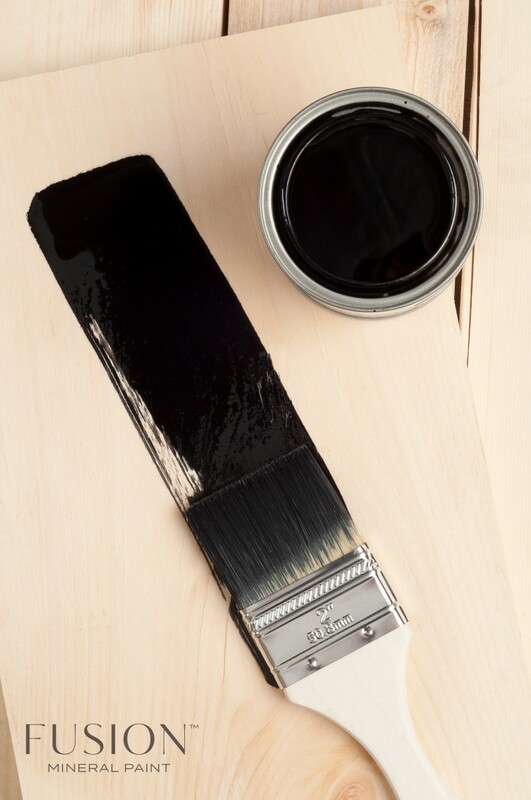 Just look at Driftwood below, the top of the brush stroke where there is a lot of oil is fully opaque, but as it thins out in its application, it goes more transparent like a traditional stain. 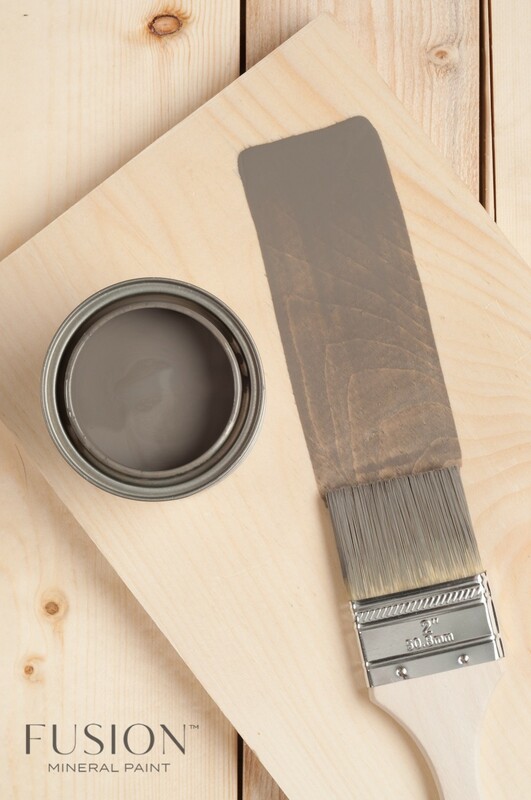 Driftwood – This on trend weathered gray look is your perfect go to if you want a gray washed look. 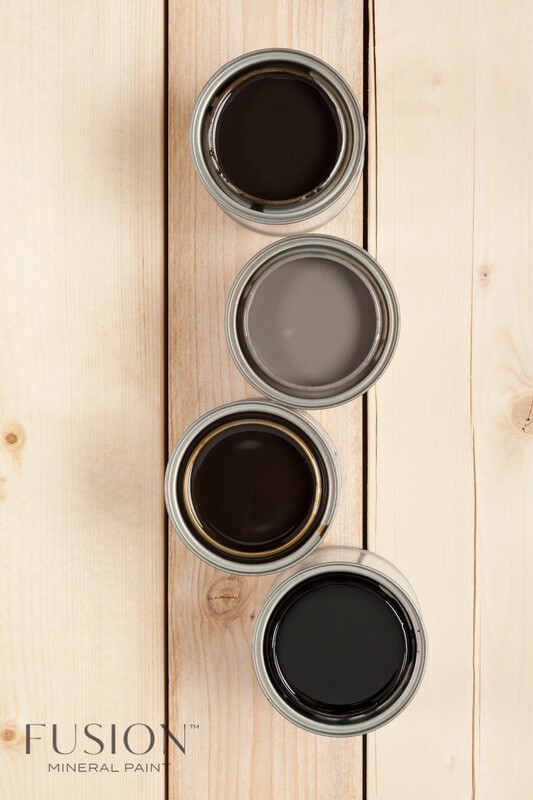 Ebony – Deep dark and rich black as night! Another beauty of this oil is that it is eco friendly. White – The White Wash look is so bright and airy. 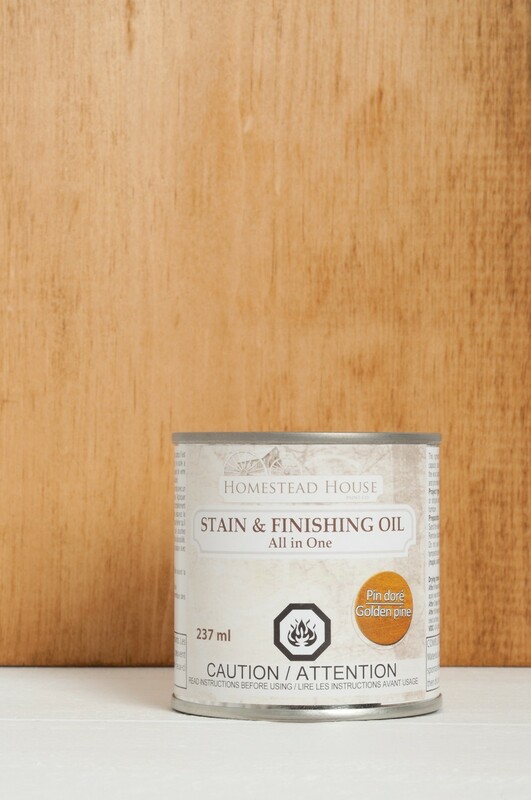 It’s so easy to achieve with this All in One Stain and Finishing Oil. Natural – Not looking for a colour, but want a super strong durable coating for your floors or table tops? Try our Natural. 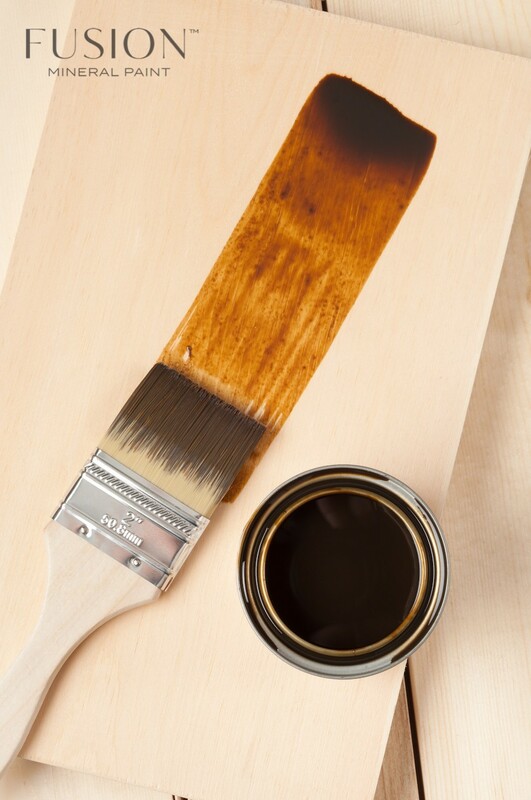 The pigment in it stains your wood accentuating the grain. 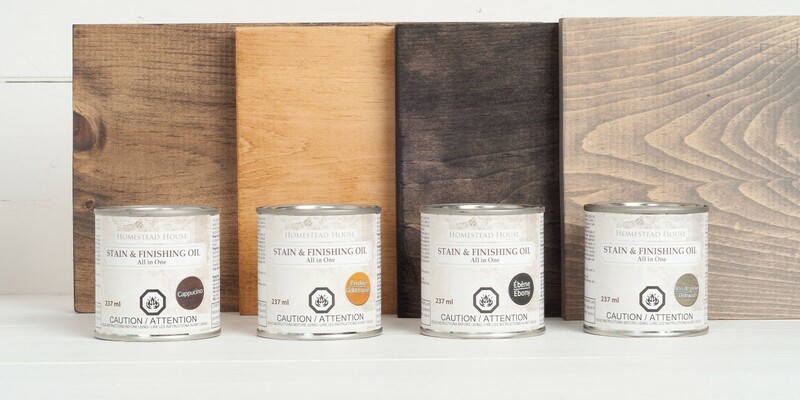 It has a combination of natural oils and resins that penetrate into the wood fibres to create a durable, scratch resistant, waterproof finish. It does not leave a surface film that sits on top, rather it soaks in and becomes part of your wood. It is ideal for wooden table tops as it has excellent resistance to abrasions and can be washed over and over again! 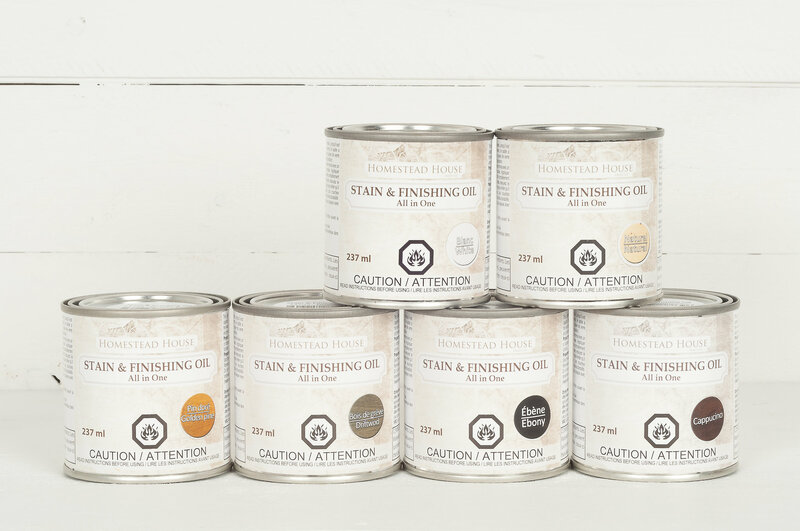 This small container will cover what 1 Litre of comparable stains do on the market! 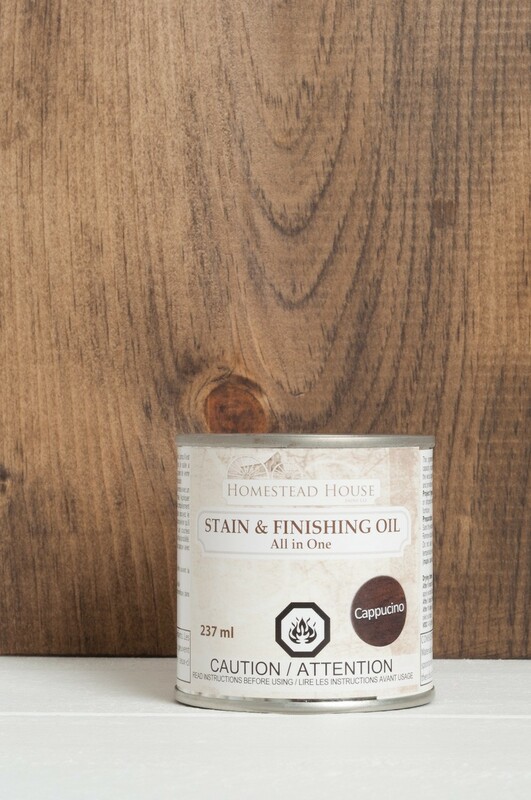 This oil will give 2 to 3 times more coverage than any water based stains. 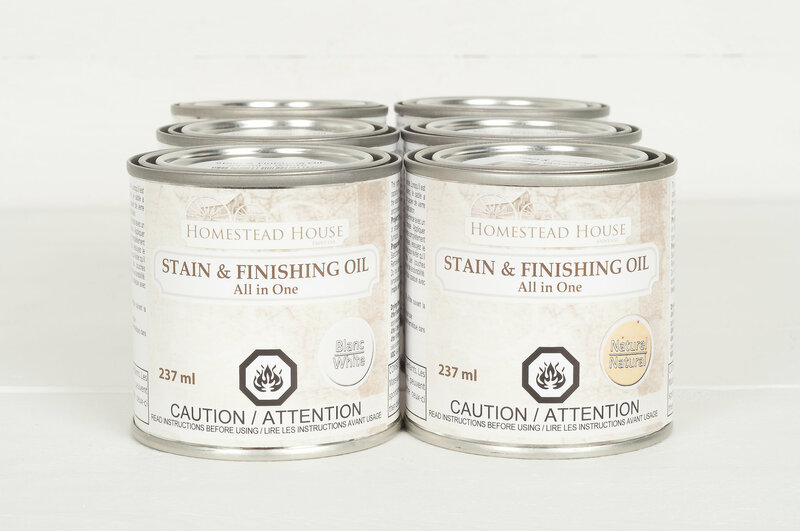 Composed of plant products, Safflower oil, Tung oil, Linseed oil, Vegetable wax, safe odourless mineral solvent and cobalt free siccative which means effective drying without toxic cobalt dryers while being virtually odourless.